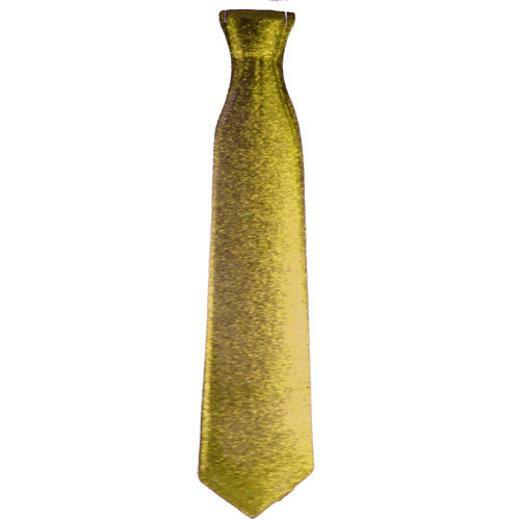 17" Gold Glitter ties. These fantastic fun ties are easy to use and feature a one size fits all elastic. They are available in 6 vibrant colors. Ties are a great for costume parties, birthdays, parties and more! See all our glitter and holographic style party accessories, hats and masks! 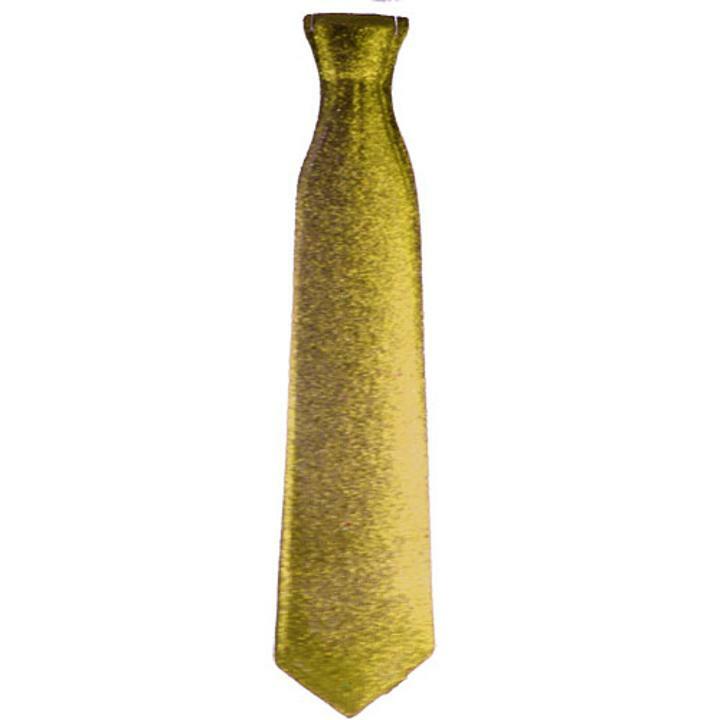 These ties are a great way to add some fun to your party, prom, wedding or other events! Perfect for kids and adults. One size fits most. Each package contains 12 one time use disposable bow ties. L: 17.0 in. W: 4.0 in. H: 0.5 in.